1172. Squared Design Lab: & Höweler+Yoon Architecture. For more information about this entry, contact the author. email: josh@squareddesignlab.com. 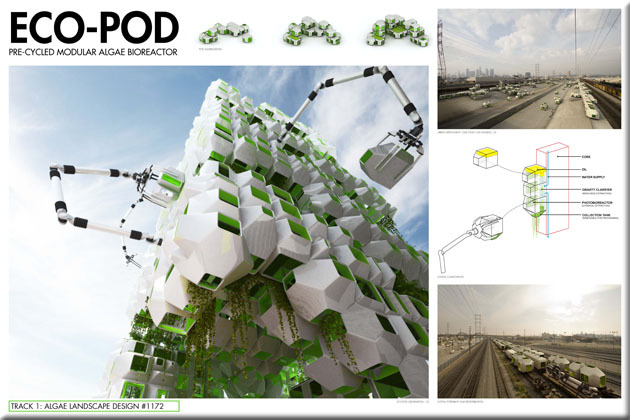 Eco-Pod: Pre-Cycled Modular Algae Bioreactor. Entry 1172. by Squared Design Lab: & Höweler+Yoon Architecture. 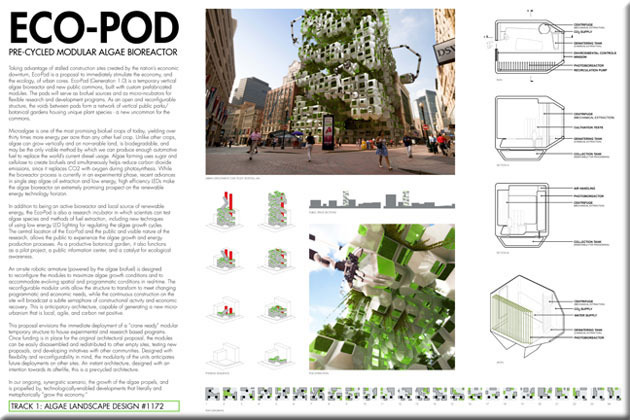 0:42 minute video of Eco-Pod: Pre-Cycled Modular Algae Bioreactor. (2011).